Quazim completed his law degree at Sheffield Hallam University with first class honours. Since graduating Quazim has gained considerable experience in providing legal advice to individuals and businesses. He is passionate about social welfare law and ensuring vulnerable people have access to justice irrespective of their income and background. His first legal role was with Howells Direct LLP in Sheffield where he was responsible for providing legal advice to vulnerable clients with housing issues. The next move in his legal career was to provide face to face housing advice for the charity Direct Help and Advice. This provided Quazim with additional skills including advocacy at the County Court under the court duty representation scheme, alongside establishing relationships with local agencies. 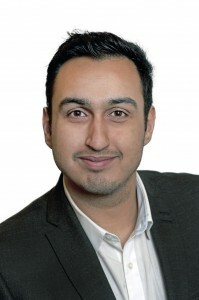 In June 2015, Quazim completed the Legal Practice Course at the University of Sheffield. After passing the course with Commendation, Quazim worked as an Employment Law Consultant at EL Direct prior to securing a training contract as a Justice First Fellow with Greenwich Housing Rights. Quazim commenced his training contract in January 2016. Quazim provides support to a local voluntary organisation in Sheffield which is set up to tackle anti-social behaviour and encourage engagement within the wider community. Quazim has written about his experience as a Justice First Fellow for the Legal Voice website in their series "My Justice First Fellowship". This was published in August 2016 and can be seen here. The access to justice project Quazim will be involved in is the Greenwich Migrant Hub. It is envisaged that the hub will be a social space for excluded and marginalised migrants to come together and to obtain legal advice and support. There is a specific need for immigration advice in South East London as there is a large migrant community with little or no support. The removal of legal aid from large areas of immigration law alongside lengthy home office delays prevents access to justice for this client group. Quazim alongside other staff at Greenwich Housing Rights identified that unsettled immigration status was a factor preventing access to key services such as housing, healthcare and benefits. Greenwich Migrant Hub will be providing specialist immigration advice, housing advice and community care advice. In addition, the service will provide a holistic approach including advice and support on health, domestic violence and community cohesion. The priority of the hub will be to provide specialist legal advice to destitute migrants who are in need of support. This client group is at risk of exploitation and abuse due to a lack of awareness of their rights and uncertainty over their immigration status.